State coordinator Smt. 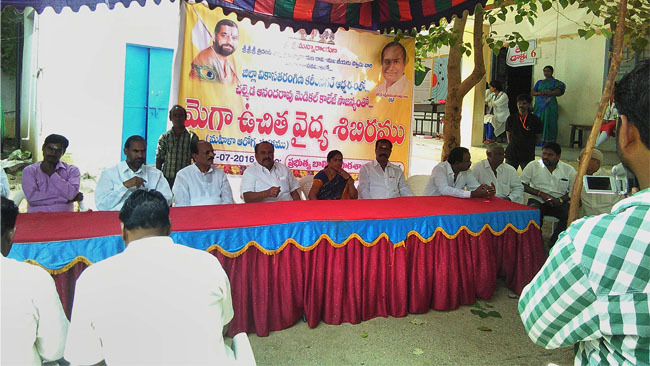 Madhavi garu and her team organised Cancer awareness camp in Tondangi, near Annavaram East godavari district on 28/10/15. Mr.Badari garu from U.S.A helped in financing the camp. Camp was inaugurated by M.D.O , M.P.T.C, Z.P.T.C members. Dr. Bharathi garu extended her services in the camp. Varalakshmi raju garu extended her services in the camp.